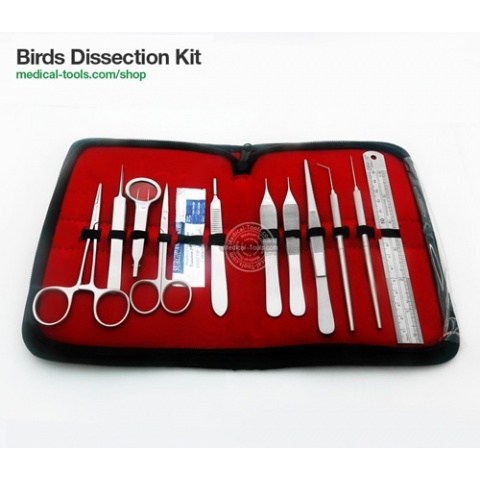 Medical Tools Birds Dissection kit is used for dissection. Kit has all necessary instruments to perform External and Internal Anatomy of a bird. The kit is designed for small and medium birds including parrots, pigeons, sparrows and more.